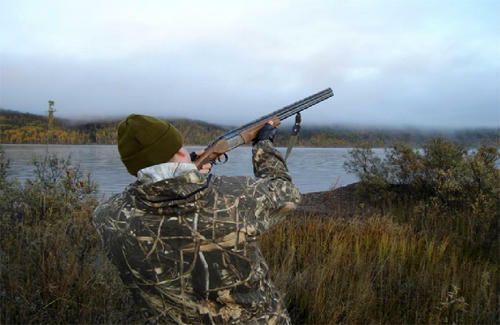 Hunting without proper authorization, in restricted areas, in the forbidden time or by prohibited tools and methods, and if this act entailed causing significant damage, is punished. Thus, the ministry conducts regular raids to study the situation with observance of the requirements of the laws “On hunting” and “On fauna”. Employees of the Department of Biodiversity Conservation and Development of Specially Protected Natural Territories of the Ministry of Ecology and Natural Resources (MENR) carried out regular raids. The aim was to combat poaching and revealing non-compliance with the requirements of the law “On Hunting” of the Azerbaijan Republic. During a raid on the territory of the village of Atbulag, Hajigabul district, a citizen was detained trying to engage in illegal hunting, Azertag reported. Hunting equipment, used for catching birds, shrike, imperial eagle and Mountain Black-eye listed in the Red Book were seized from him. During the investigation, it was established that the poacher was a resident of the Hajigabul district. Measures have been taken in relation to the offender in accordance with the law and he has been administratively fined 2,000 manats. In addition, residents of the Jalilabad region were detained while trying to engage in illegal hunting during a raid on the territory called Platinum of the Bilasuvar region. Three hunting rifles were confiscated from them. Relevant legislation has been taken against the offenders and each of them has been administratively fined 1,000 manats. Hunting on the territories of Agdam, Goranboy, Dashkesan, Gadabay, Geygel, Tartar districts and on the territory of other border administrative districts, as well as in the frontline zone, on the islands of the Caspian Sea, in the green zone, on sites closer than 1.5 kilometers to the city and resorts, specially protected areas, sanitary security zones is forbidden. Popular hunting regions in the country are Shamakhi, Sheki, Oguz, Gakh, Imishli, Gubin, and Ismayilli.